Dominica Rice-Cisneros at Cosecha, her restaurant at Swan's Market. The thing Dominica Rice-Cisneros remembers the most about Cinco de Mayo was how excited she was to learn the Mexican Hat Dance in elementary school. What does the chef-owner of the Mexican restaurant Cosecha (907 Washington St., Oakland) say she doesn’t remember? Anyone in her family, or from the broader Mexican-American community in Los Angeles, taking the holiday as an opportunity to go to a restaurant and get blindingly drunk on tequila shots or oversized margaritas. But for a large chunk of America — and here I should be clear that I’m mostly referring to White America — the fifth day of May is largely synonymous with that kind of drunken, culturally appropriative merrymaking. 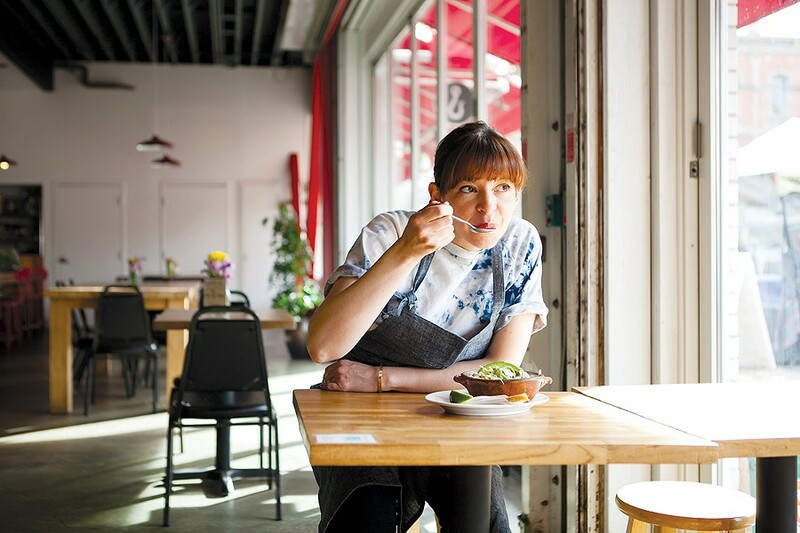 That’s why, this year, Rice-Cisneros has taken it upon herself to host her first-ever “Decolonizing Cinco de Mayo” dinner at Cosecha (on Thursday, May 5, 5–9:30 p.m.) — a night she says is an effort to reclaim the holiday on her own terms. For restaurateurs, Cinco de Mayo is particularly fraught — and not just because “Drinko de Mayo,” a truly awful expression, exists as part of the Millennial American lexicon. I lost track of how many PR pitches I received these past few weeks from non-Mexican (again, mostly white-owned) businesses wanting to cash in by serving vaguely Mexican-sounding specials — the deli that decided to sling tortas for the day, the seafood restaurant with the margarita special, and the snack food purveyor that wanted me to know that its jalapeño-flavored popcorn would be an essential addition to my Cinco de Mayo spread. Hence the chef’s inaugural effort to “decolonize” the holiday — though she stressed that this doesn’t mean she’s celebrating it the way people in Mexico proper do. Ironically, in Mexico, the holiday isn’t typically feted with much pomp and circumstance, at least outside of Puebla, where the Mexican army defeated a much larger force of French occupiers on May 5, 1862. 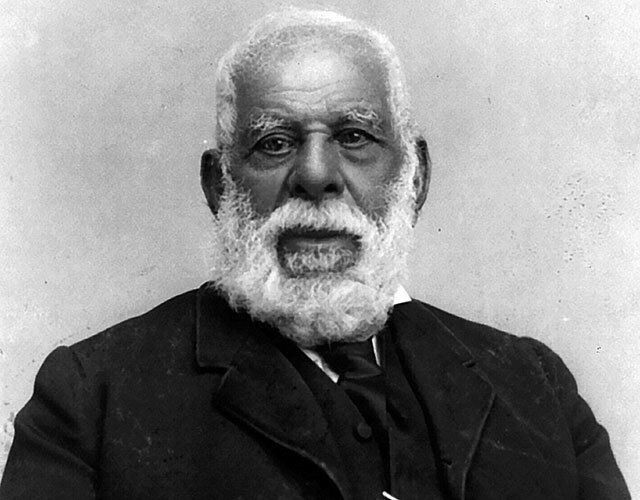 Instead, the celebration at Cosecha will pay tribute to a lesser-known event in Mexican-American history: the birth of Pio Pico — the last Mexican governor of what is now California — on May 5, 1801. To celebrate, Rice-Cisneros plans to supplement Cosecha’s regular menu with a few specials. In honor of Pico’s heritage, she’ll serve grilled artichokes with chile de Misantla, which she described as a kind of indigenous romesco sauce made with pumpkin seeds and dried chilis. As a nod to his love of French food, she’ll also serve her duck carnitas — normally a weekend special — which are braised using the same technique as French duck confit. Rice-Cisneros said the event will be relatively low-key — no lecture or anything like that, though she’ll probably raise a toast to Pio Pico at some point in the night. Mostly, she said she just wants to provide a venue for folks — Mexican or non-Mexican — who would like not to co-opt Cinco de Mayo, but rather celebrate it in a respectful way.